Was this my “digital native” son, the one who’s been plugged in to an iPod since age 6? The dude who begged for a MacBook for his 8th birthday, who likes to text me from his bedroom to ask when dinner will be ready, and who can’t wait to turn 13 next week so I’ll finally let him sign up for Instagram or Vine or whatever the kids are into this week? Suddenly he’s going throwback? 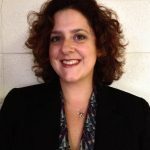 Being a (marginally) still-cool mom, I pretended to be unfazed. This could be good, I said — your Dad and I have some old albums in a box somewhere, and surely your aunts and uncles would let you try out some classics from their collections. And hey, I said, it’s fun to spend hours in a music store scouring the used-record racks for treasures and obscurities. No, Mom, he corrected me: New vinyl. We were a few days from going to his first real rock concert, to see Arcade Fire at the Wells Fargo Center. At the merchandise counter, he cried out in joy and surprise at seeing their latest album for sale on vinyl, and he begged to buy it. But we don’t even have a turntable at home, I told him. He said he’d been saving his allowance and was going to buy one for himself. And remember how great his last report card was? There are few forces more formidable than a 12-year-old on a procurement mission. Skip ahead a song or two, and it’s last Saturday. By now Jack has accumulated a turntable, a few selections from his parents’ box of records (Someday he’ll regret not taking my old copy of Gold Rush ’79) and two borrowed/adopted Pink Floyd LPs from an aunt. 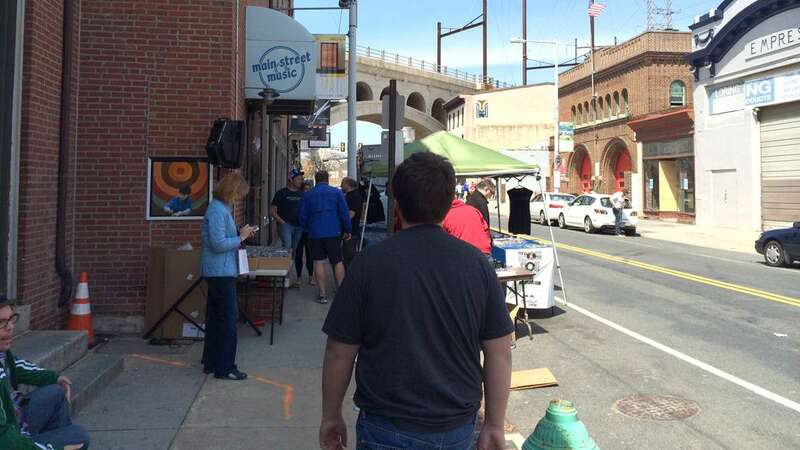 The three of us are crammed into Manayunk’s tiny Main Street Music, where the crowd gushes out the door and into a tent set up on the sidewalk. 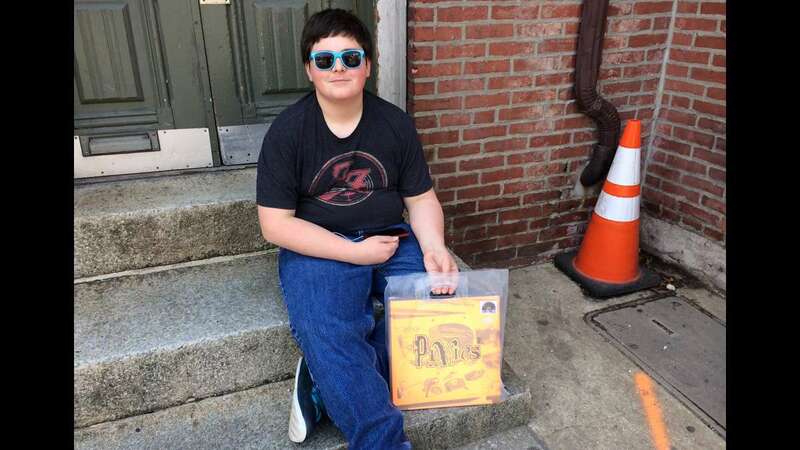 It’s Record Store Day, and the kid is determined to get the new Pixies album before they sell out. We already own the rest of the Pixies catalog, much of it on both CD and/or mp3 and/or cassette, but the new release he wanted on vinyl. 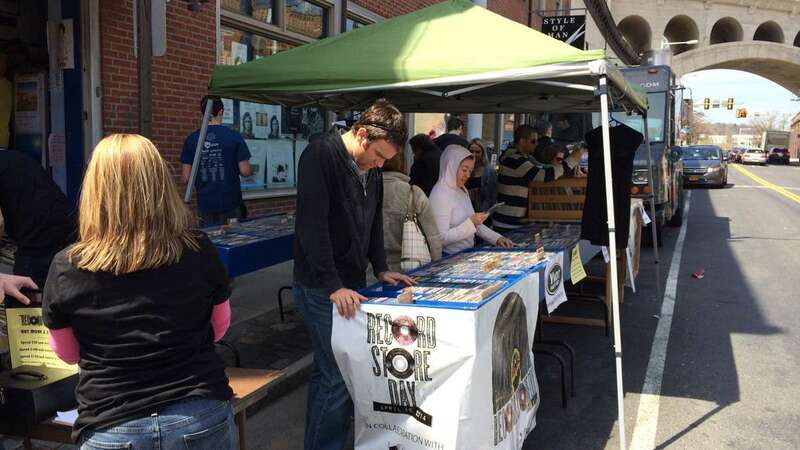 Record Store Day began in 2008, as a way to encourage music buyers to shop at their local mom-and-pop rather than going online. I was cynical about it in the early days, dismissing it as an annual one-day gimmick that wouldn’t carry over the rest of the year. Sure, geeks and posers would show up one day out of the year to buy discs and show off their hipper-than-thou music cred, but the stores would be empty again the next day. Except it hasn’t happened quite that way. Instead, vinyl records — especially new releases — are having A Moment. As Dan DeLuca noted in a recent Inquirer piece, sales of vinyl records have swelled by more than 30 percent from 2012 to 2013, even as CD sales wane and digital sales suffer in the era of Spotify and iTunes Radio. 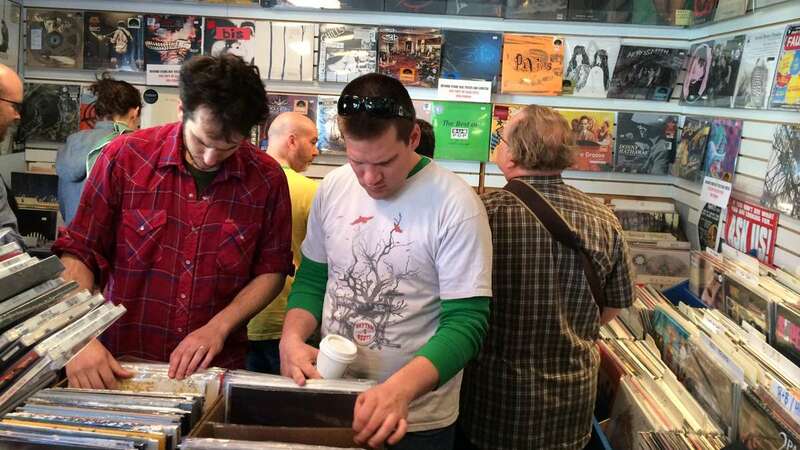 More than 1,200 retailers participated in Record Store Day 2014, with hundreds of new and special-edition vinyl releases. Everyone from The Boss to Jack White had a special offering at Main Street Music, clean and pristine and still in the wrappings. 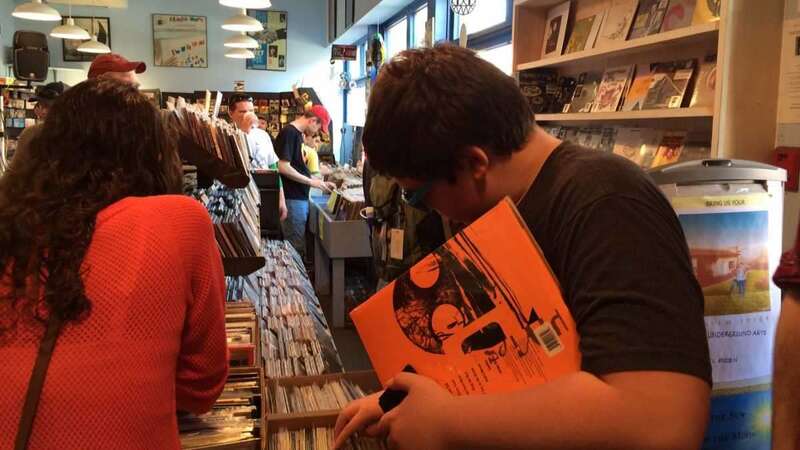 As a parent, I’m OK with it — buying a vinyl record carries with it the same vaguely noble, almost-smug feeling as buying a hardcover book or reading the news on paper, as if the act of media consumption is somehow more worthy when accompanied by a tactile experience. I can’t say whether that’s really true, but if nothing else, it’s nice to see him interested in something that doesn’t involve screen time. And at least most of the new vinyl releases also come with a code to download an electronic version of the album — y’know, to keep the old folks, like me, happy.